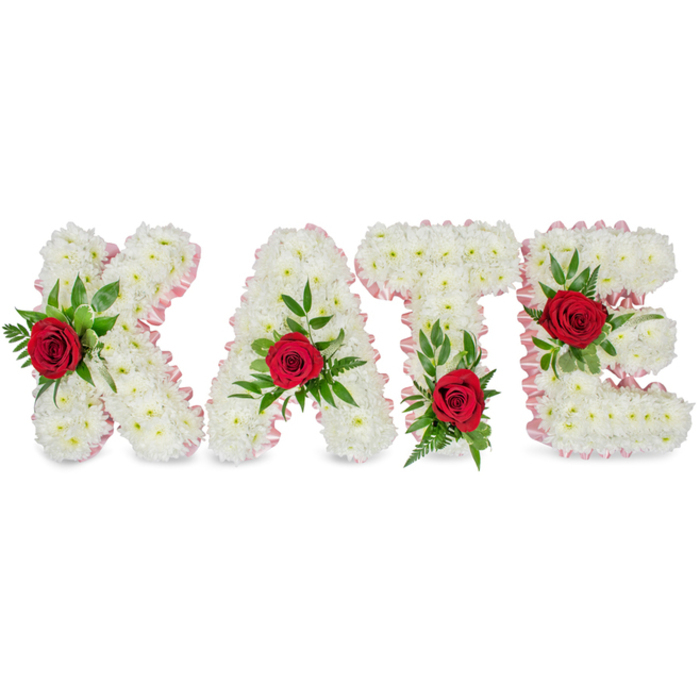 Our expert florists will arrange a beautiful tribute out of any letters or numbers of your choice. They will select the freshest white chrysanthemums and arrange them with lush red roses, white veronica and greenery to create a special tribute to represent your love, wonderful memories and support. Thank you for the timely delivery, as the family had to leave at 11:30, the morning delivery was much appreciated! I just want to say that Handy Flowers delivered the most beautiful flowers for the funeral and was very reliable, answered all of my questions regarding the delivery and treated me with respect. Good florist! Finally a company that can be fully trusted!!! Contacted them one day prior to the funeral and they arranged a next day delivery of the flowers which was made promptly. Beautiful red roses arranged in a lovely tribute. Couldn't have asked for more. Great job! The arrangement was just what we expected! Professional service that I highly recommend!